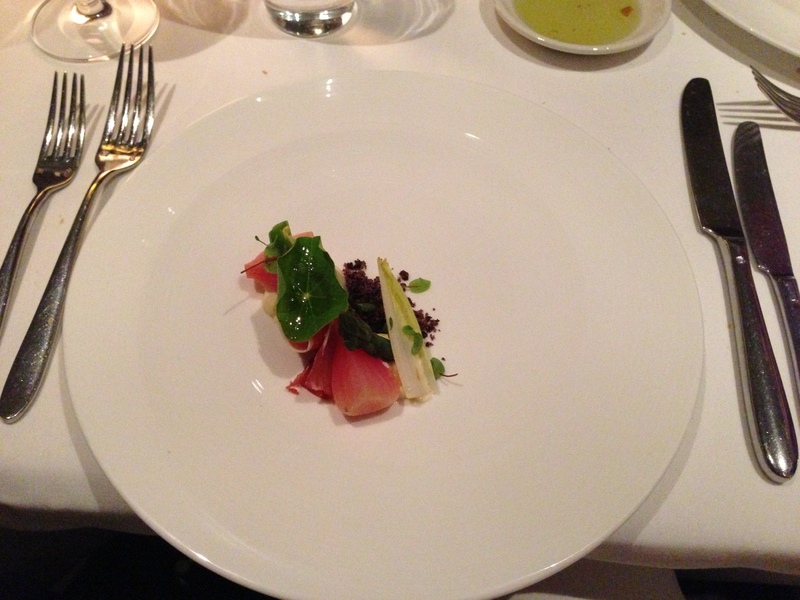 ezard, an Oldie but a Goodie | 15,000kms of Food! Dined at ezard for my birthday this year, and gotta say, I was a bit worried that the restaurant might have dated but was pleasantly surprised. Last time I dined here was about 4 years ago and whilst the menu stays true to it’s original style, you can see/taste the newly incorporated elements. Had degustation with matching wine, and gotta say, I love it! 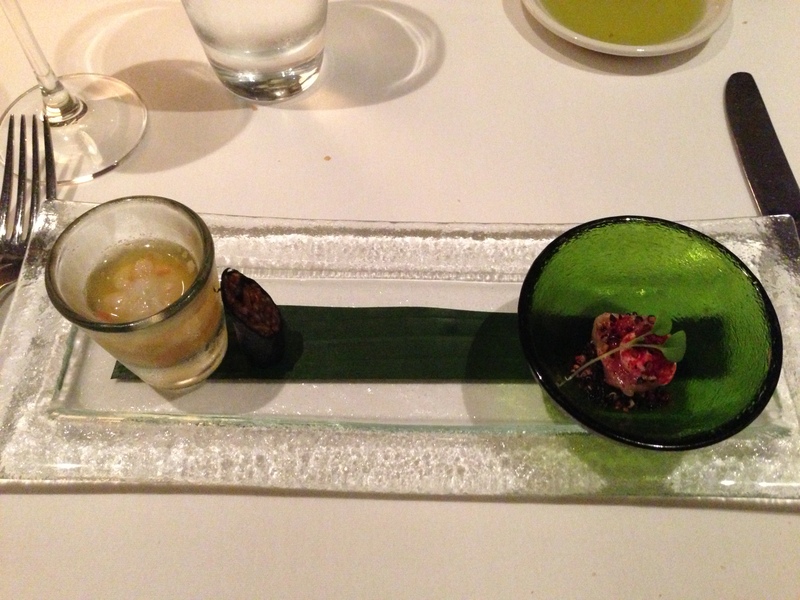 First up, we had “Japanese inspired swordfish shooter” (left) and a piece of sashimi (right). Was delicious. 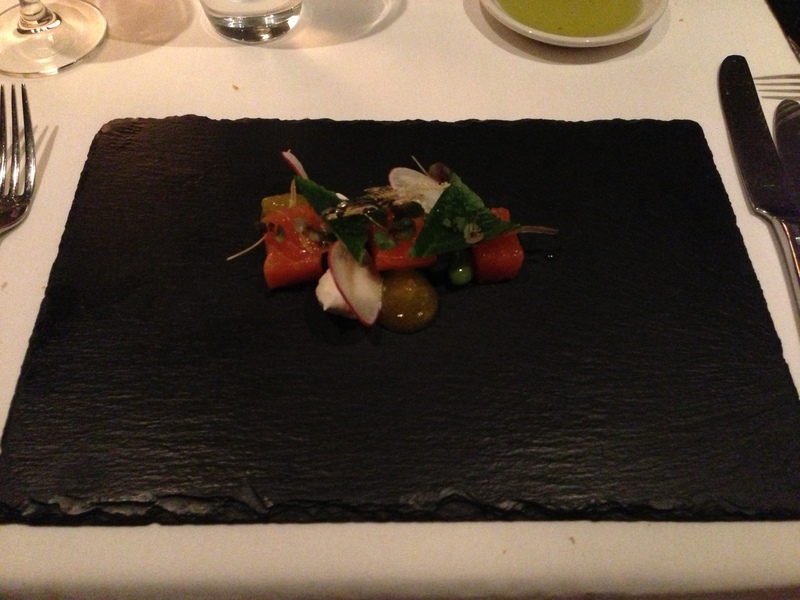 We then had “citrus and vodka cured salmon, black quinoa, olive oil jam, smoked yoghurt, tangerine vinaigrette“. Clean, fresh and tasty. 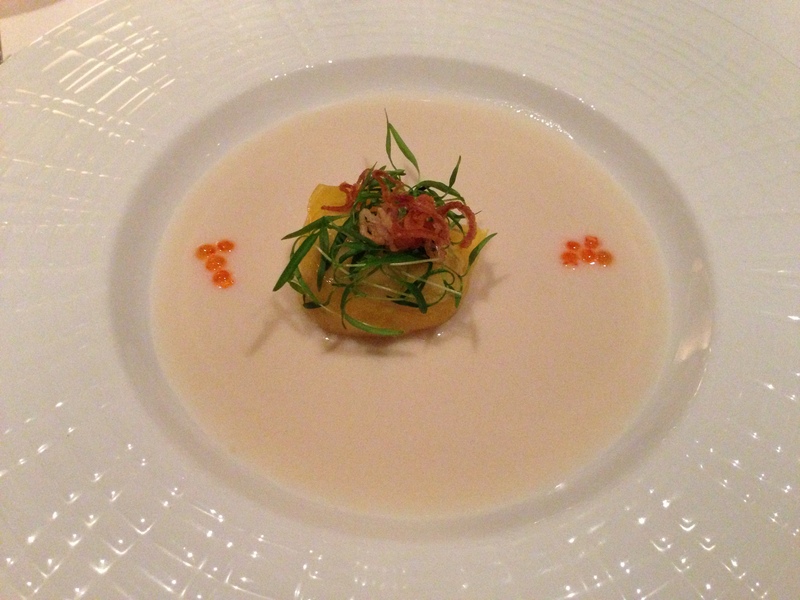 The “steamed spanner crab dumpling with yarra valley salmon roe, chervil cress and tom kha” was a lovely subtle dish with a delicate little dumpling sitting in a mild cocunut curry sauce. The “salad of target beetroot, asparagus, serrano jamon, parmesan custard and white truffle vinaigrette” was light and tasty. 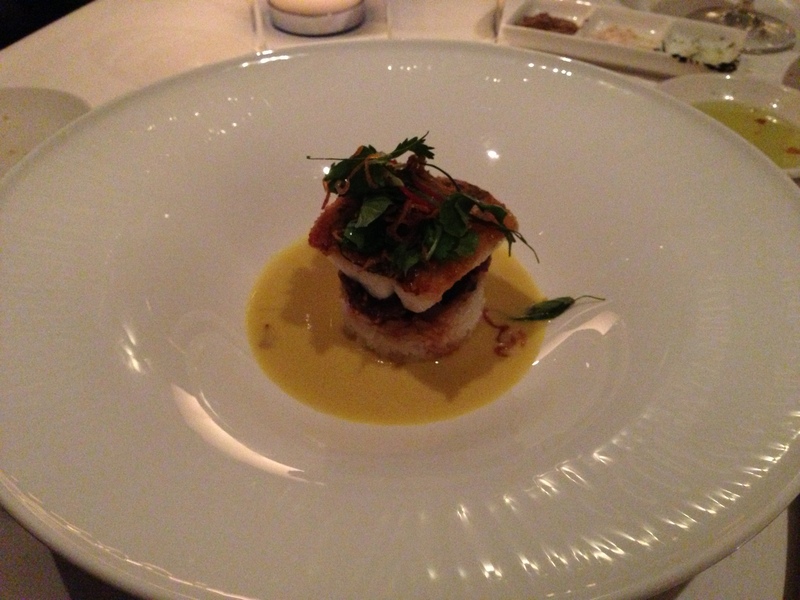 The “crispy skin baby barramundi with caramelised eggplant, tomato and lime salad, yellow curry dressing” was perfectly cooked fish with a tasty curry (and rice on the bottom). This was my favourite dish of the night. 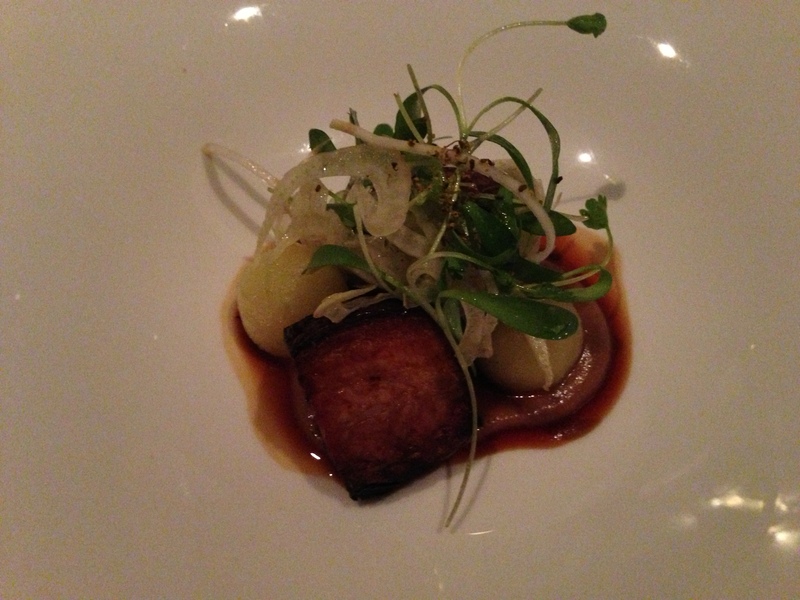 The “slow cooked pork belly, apple pudding, fennel, white peach and calvados jus” was super tasty, but I did find my piece of pork a bit chewy. 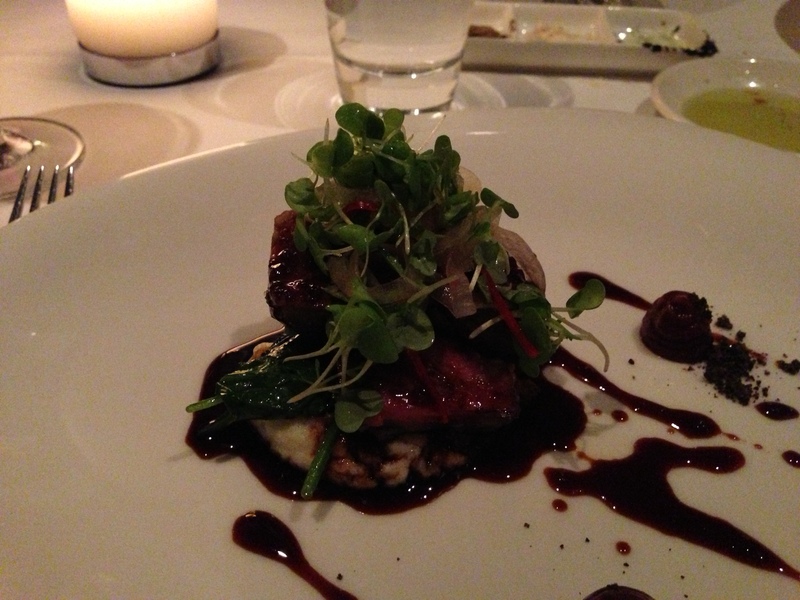 We chose the “eight score sher wagyu beef, potato terrine, garlic and red wine jam, mushroom soil, bordelaise jus” as our main and it was amazing! The beef was so perfectly cooked and melted in my mouth. Actually, I think this was my favourite dish of the night. Finished off the night with the “ezard dessert tasting plate to share” which was a collection of miniaturised desserts. 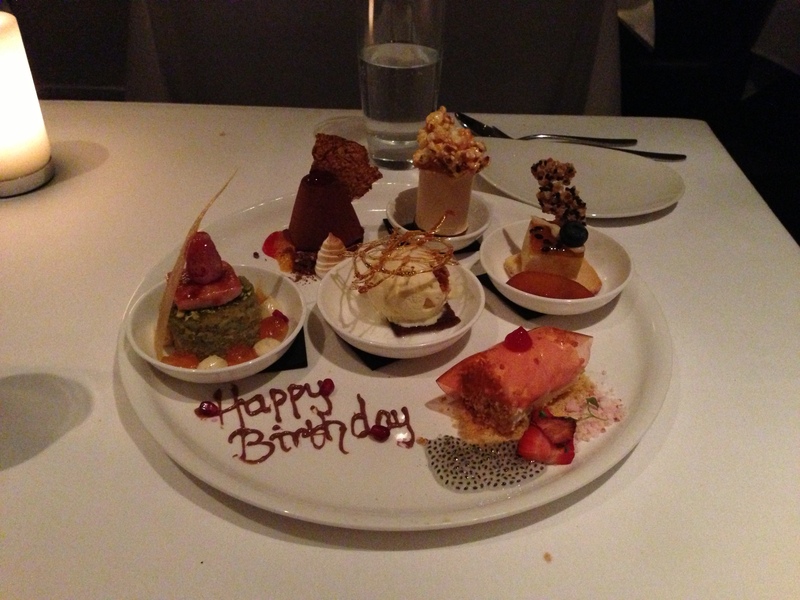 All very good, and a nice variety of desserts. All up, a great dinner. Food was tasty and looked pretty as a picture. Can’t wait to revisit in a few years time!